Diemme destemmer/crushers combine the latest technology with manufacturing quality to provide the most gentle and effective stem removal for the highest quality winemaking. 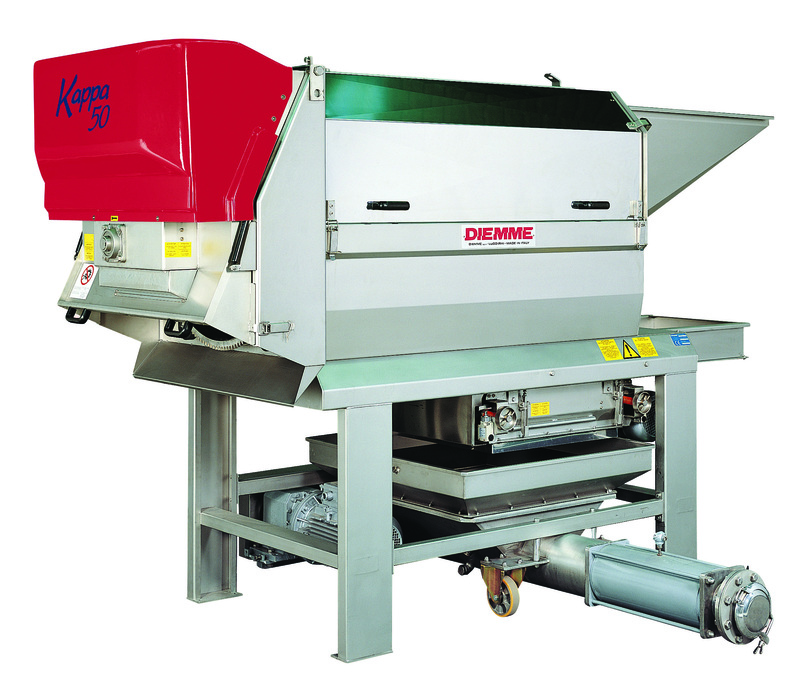 Diemme’s Kappa series destemmer/crusher can operate in conjunction with a sorting system at 2 tons/hour and up to a maximum 150 tons/hour. Kappa stemmers/crushers are variable speed and may be combined with optional crusher rollers, leg extensions, and pre-drain hopper with auger. Diemme offers a choice of stainless steel or rubber destemming paddles. The destemmer paddle geometry and position have been optimized for gentle berry removal from the stem and fast stem removal from the cage. Contact us for the latest documentation on the Diemme Kappa series systems.